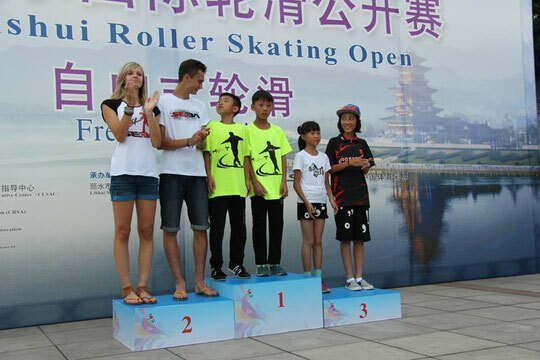 The fourth edition of Lishui Slalom Open was held on August, 20-24. 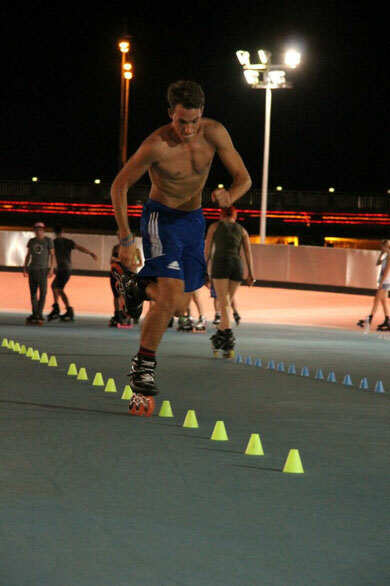 The competitors were competing in the main disciplines : Classic Freestyle Slalom, Pair Freestyle Slalom, Battle Freestyle, Speed Slalom and Freestyle Slides. 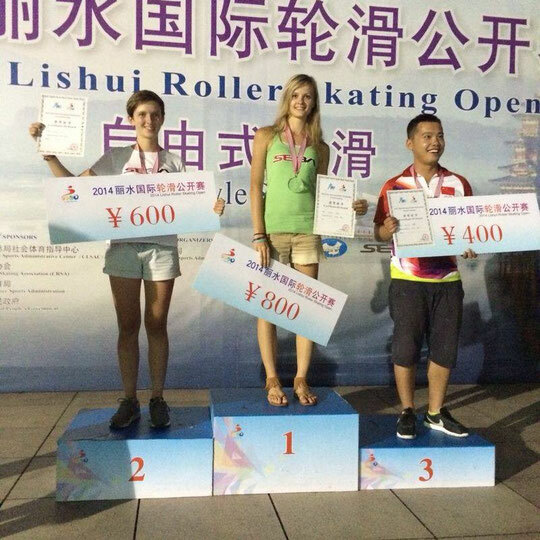 Chinese Meng Yun (#6) won the Classic Freestyle Slalom contest in Lishui. It is her third victory in a main event after Beijing 2009 and Namwon Korea Open 2012. She performed a smooth and technical run with many stylish moves and hard tricks. Klaudia Hartmanis (Pol, #3) took the second place, repeating her result from 2013. Zoé Granjon (Fra, #5) finished right after Klaudia on the third step of the podium. It is the first time she reaches a Classic podium in Asia. Guo Fang (Chn, #10) won the Classic Men competition. He performed a very clean run with a good choreography and a high technical level and landed all his tricks. Michał Sulinowski (Pol, #5) took the second place, repeating his result from 2013. His run was perfectly clean, very fast and dynamical. He mixed very hard tricks and dancing moves, linked to the music. Alexandre Claris (Fra, #6) made the same result as in Shanghai one week before and finished third, confirming a good regularity, just in front of the world number one, Yu Jin Seong (Kor), who took the 4 place. Feng Hui (Chn, #8) got the victory third year in the row. Wang Ding Yu Xin (Chn, #20) took the second place. Qin Yu Qing (Chn) ended up third. Pan Yu Shuo (Chn, #33) won the competition in the Junior Men category. Liu Bo (Chn, #115) finished right after him on the second step of the podium. 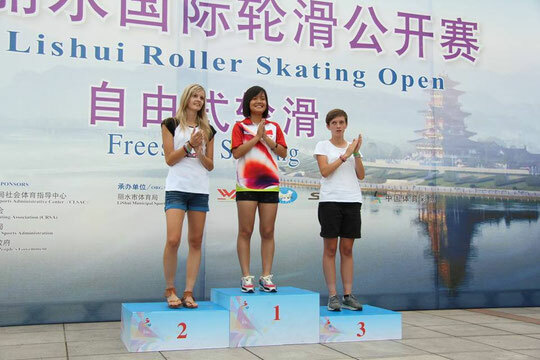 Ye Hao Qin (Chn, #9) took the third place. 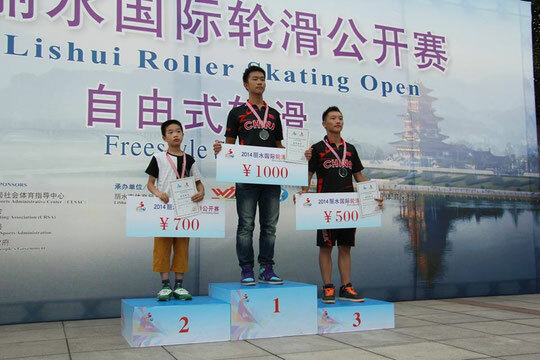 Gu Kun Qi and Zeng Chen Yu from China improved their result from the Shanghai competitions (2 place) and won the Pair Freestyle contest in Lishui. Polish Michał Sulinowski and Klaudia Hartmanis took the second place. Wang Ding Yu Xin and Qin Yu Qing from China ended up third. Klaudia Hartmanis (Pol, #3) got the victory, repeating her result from 2013. She had more variety in her technical tricks and they were longer and better landed, than the tricks of her opponents. Zoé Granjon (Fra, #5) finished right after, taking the second place with good runs as well. This is her best personal result in China so far. 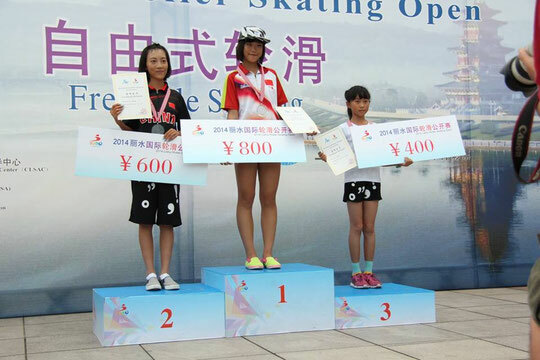 Feng Hui (Chn, #8) ended up on the third step of the podium. She had less variety of tricks and almost no tricks on heel, only on toe. Ksenija Komarchuk (Ukr, #9) took the fourth place. She made a good performance, reaching the Battle final for the first time in an Asian main event, but her tricks were shorter and less technical. The Battle World Champion 2013 (WFSC 2013, Taipei), Ye Hao Qin (Chn, #9) won the Battle final, keeping his 2013 title in Lishui. He made his long and clean runs perfectly with many hard transitions and amazing tricks. Romain Lebois (Fra, #3) took the second place. He performed also good but didn't land his last trick and was less techinical then Ye Hao Qin. Alexandre Claris (Fra, #6) ended up on the third place of the podium. His spin tricks were very fast and impressive but combo were less technical and shorter than the two first skaters. Michał Sulinowski (Pol, #5) finished fourth with less variety of tricks than others. The World Champion 2012 in the Speed Slalom category ( WFSC 2012, Lishui, China) and former world number one, Cristina Rotunno (Ita, #5) won the final against Tiffany Derisbourg (Fra, #15). Cristina showed the best qualification time (4,896 sec). With her second place, it is the best result so far in a main event for Tiffany Derisbourg. 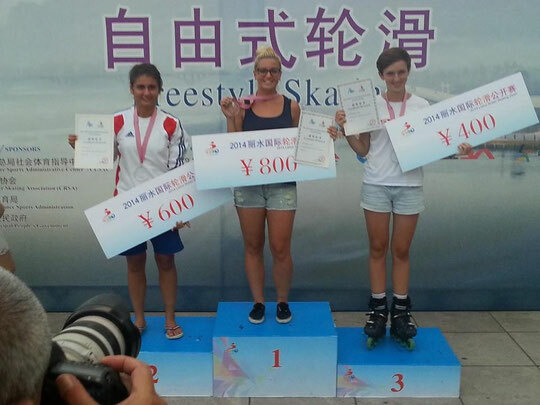 Zoé Granjon (Fra, #2) won the small final in front of Meng Yun (Chn, #8) to take the third place. Zheng Jia Ming from China showed a great result, winning the Speed Slalom final for the first time for his first participation in a main event. We will have to watch him in the next big events to see if he confirms this performance. Alexandre Claris (Fra, #5), who showed the best qualification time (4.303 sec), took the second place. 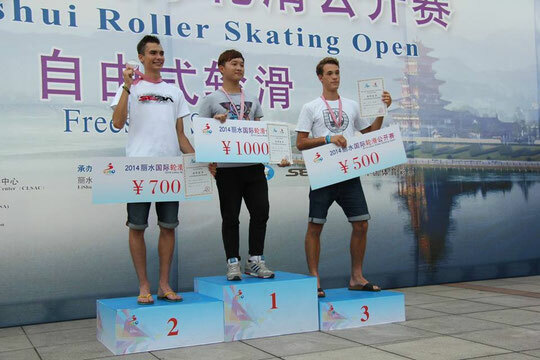 This is the first Speed Slalom podium in China for him and his best result so far as well. 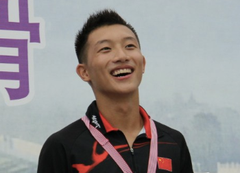 The winner of last year and the current world number one, Guo Fang (Chn) ended up third. Savio Brivio (Ita, #3) finished fourth. In the Junior Women category, Lu Qian Qian (Chn, 38), who showed the best qualification time (4.768 sec), won the final in front of Feng Hui (Chn, #31). Yang Jia Liang Zi (Chn) won the consolation final against Wang Ding Yu Xin (Chn, #44). In the Junior Men category, Pan Yu Shuo (Chn, #78), who showed the best qualification time (4.306 sec), won the final in front of Ye Hao Qin (Chn, #80). Yu Jun Yan (Chn, #275) won the consolation final against Roberto Rosato (Ita, #19). Four newcomers from China were competing in the Women's Slides final. Zhou Xiao Dan got the victory in front of Zhang Cheng Bei. Chen Qian took the third place. He Qiu Wei ended up fourth. In the Men's category, The world number one, Huang Hai Yang (Chn) got one more victory winning the Slides final. Fu Hao (Chn, #97) took the second place. Guan Wen Hui (Chn, #356) ended up third. The world number two, Zeng You Xing (Chn) finished fourth.